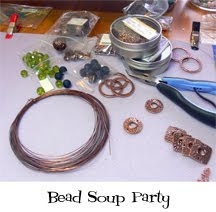 Today you can increase your bead stock at nightowlbeads. 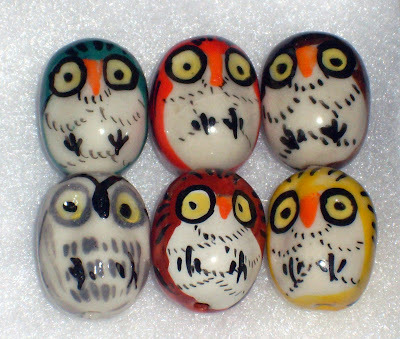 I bought: A parliament of owls (handpainted porcelain beads). Aren't they cute? Just not sure if I should put them all in one piece or use them as little accents. More animal beads are showing up here tomorrow. 1 Response to "Increase-your-bead-stock-week - Day 5"
OWLS! I love owls. I'm reading Harry Potter to my son and we love that they use owls as mail carriers.